« Do You Have a Taste For Some Limited Edition Rolling Stones Whiskey? I’d like to write a little about Dave Alvin. Because I LOVE Dave Alvin. Not in a physical way you understand, I don’t even know the man after all and neither of us are that way inclined (as far as I’m aware). Nevertheless, as a fan, an admirer and purchaser of his superb music, an attendee of (sadly only) one of his shows, I love Dave Alvin. Oh and, specifically, I’d like to write a little bit about Dave’s crowning glory, his masterpiece, and of the very best albums of the last 20 years or so – Blackjack David. I can tell you now with complete honesty that, since its release in 1998, I have played this album more than any other, I know it inside out and I still enjoy it just as much now as I did when I first got it. Probably more in fact. The first time I ever heard any of Dave’s music was when I purchased, on a whim, The Blasters album Hard Line in 1985. It got a great review, somewhere, and I though I’d take a chance on it, a thought which turned to be very fortuitous indeed. Dave Alvin was the guitarist in the band and his brother Phil was the singer. I totally loved Hard Line and I wasn’t long in working my way through the bands back catalogue, a body of work which contained such wonderful songs as “Marie Marie”, “American Music” and “Border Radio”, all written by Dave. Hard Line turned out, sadly, to be the bands final album (in their original phase at least) but it remains my favourite because the songs on it are simply so good and strong, it was obvious that Dave was coming on and getting much better as a songwriter. All of which bode well for the solo career which he embarked upon in the late 80’s. I got his first effort, the superb Every Night About This Time (named Romeo’s Escape in America) and followed his output from then on, enjoying most of it, and being particularly fond of 1994’s King Of California, an acoustic re-visiting of some of his best material. I suppose by the late 90’s that he had become just another artist I liked, kept an eye out for, but didn’t think he was going to surprise me in any way, not that I even gave it much thought to be honest. 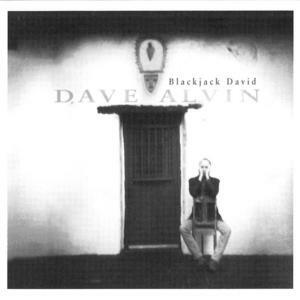 And then, in 1998, quite out of the blue, appeared Blackjack David, a wonderful album with no weak links and, for me, his very best effort to date. The title track ushers us in, gently at first, a hushed take on an old traditional tune, here given a wonderful reading and it’s immediately obvious that we’re in the hands of a master craftsman. It builds slowly and ends on a perfect note before “Abilene” comes rushing in. This one’s the tale of a teenage runaway who’s “Daddy’s get drunk and he’d hit her hard and her Mom would lie in bed, high on pills and talking to God”. She’s found herself in the Northwest, dancing on tables, and decided to head home to Texas and face some demons and reunite with an old flame. I think! She appears to change her mind somewhere along the way. it’s left open-ended a bit. Wonderful song though. “New Highway” is a tale of a loner, out on the road again, it’s an acoustic blues beauty about a drifter with the world laid out before him and he intends to make the most of its opportunities (and its women). One of the undoubted highlights is “1968”, simply a classic song, the story of two old friends who grew up together and shared adventures galore. They even marry sisters! Well, they join the Army and get shipped to Vietnam and only one comes home but he can’t settle, the memories, the pain, the thoughts of his old friend always preying on his mind. What happened over there haunts him for the rest of his life. Think The Deer Hunter meets Springsteen’s “Highway Patrolman” and you’ll be close. It’s beautifully done and it was co-written, appropriately (as it’s about two great buddies), by Dave Alvin’s friend Chris Gaffney who sadly passed away 4 years ago. Dave wrote a wonderful song for his old compadre “Run Conejo Run” which is on his latest album and he also pays emotional tribute in his live show these days. Try and catch it. “Evening Blues”. If that great American writer of fiction Raymond Carver had ever written songs he would have been doing well to come up with something as perfect as this, a man slowly realizing that there’s nothing left between him and his partner, nothing except resentments and tired old reminiscing. Whatever was there has run its course and it’s time to move on but neither wants to, or can, be the one to admit it ; ” I wish that I could hold you baby but you seem so far away, and I wish that I could kiss you baby but I’ve run out of sweet words to say”. Devastating, heartrending, brilliant songwriting. “From A Kitchen Table” matches it though. A man sits late at night, Sunday, going through his mind and thinking about an old flame, the love of his life. She’s long gone from the small town they grew up in but he still lives with his mother, stuck in the same old rut, unable to leave her because the father passed on, he can’t leave his old Mom on her own. What he has, ALL he has ,is the memories of the perfect times they once shared and the love they knew. A devastating portrayal of loneliness and lost opportunities, how a life can just go quietly wrong. Even better than those two though, amazingly, is “California Snow.” I’ve saved the best till last because this is one of the finest songs I’ve heard in my life. And you better believe I’ve heard a few! This particular gem is another co-write, this time with another of Dave’s great friends Tom Russell, himself one of the most wondrous songwriters in the world today. On this one, they surpass themselves. It’s the truly heartbreaking tale of a Border Patrol guard, out on the back roads every night, recollections of his wife and family going through his head. He stumbles across two people, a man and his wife, trying to sneak into the country from Mexico and it goes from there. I won’t tell you any more, it’s devastating though and a masterful insight into human nature and the things we’ll do, and the price we’ll pay, for betterment. As you’ll have noticed, there’s a lot of memories channeled in these songs, along with bitterness, regret, lost love and emotion. This isn’t throwaway material, it’s old, wise, world weary. A perfect album, as timeless in its way as legendary albums like Bruce Springsteen’s Nebraska and American Recordings by Johnny Cash , two releases which are a lot better known than this one. Well, Blackjack David and the man who created it deserve more. As mentioned earlier, Dave Alvin is a master at what he does and here (musically) he fuses folk, blues, country and rock n roll into a seamless whole, a perfect take on that much fabled Cosmic American Music. And then he throws in some absolutely perfect songs for good measure. And, my goodness, I haven’t even mentioned “Mary Brown” in which we encounter murder, betrayal and a sneaky femme fatale , an Americana take on James M. Cain. 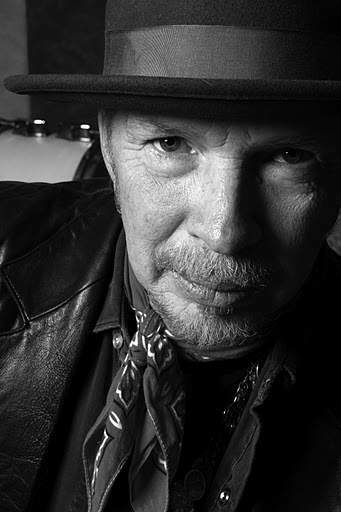 Dave Alvin moved on to create some fantastic work after this one of course, indeed he even won a Grammy just two years later for his next release Public Domain (Songs From The Wild Land) an album which continued his gift for re-interpreting traditional material. He plays devastatingly good live shows and his latest effort 2011’s Eleven Eleven is a superb album, one of his very best. The man’s body of work is building into an essential part of American music’s rich history and with Blackjack David he created a defining statement. See our feature on the debut from The Blasters. Dave Alvin is so fantastic. It is really, really a shame that he is not more well known. His songwriting is as good or better than Springsteen’s. I saw Dave Alvin the last time he came to Phoenix, which was sometime last summer I think. That’s the only time I’ve seen him. He was fantastic. 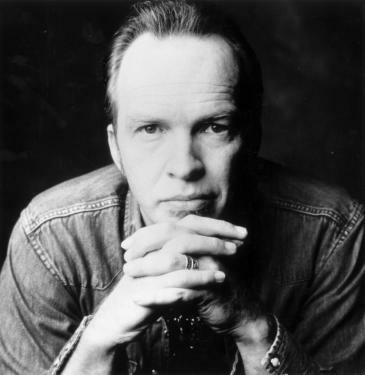 I think the first song I ever heard by Dave Alvin was the electric version of “4th of July”. I don’t remember where I first came upon it. I really liked the song, and still do, but for whatever reason, I didn’t seek out any other Dave Alvin music for a while. Then I came upon The Blasters a couple of years ago. Wow. The first album I bought was “Non Fiction”. The first time I heard “Jubilee Train” I was completely hooked. 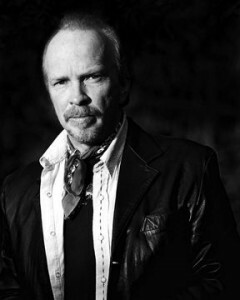 It didn’t surprise me to learn that Dave Alvin’s father was a labor movement leader. The sentiment contained in that song definitely comes from that kind of place, and it is something that is sorely lacking today. Is it weird to say that it brings tears to my eyes? Beautiful song. Enough rambling. 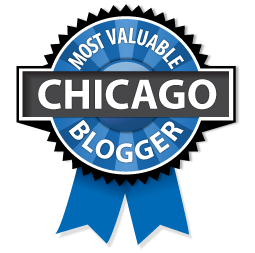 Yes, Dave Alvin definitely deserves more acclaim than he has received. Such is the way of the world it seems. what is 3 in addition to 3?